Thought I'd start up a thread where people can post their weather links that they've got tucked away in their 'favourites' tab. Hopefully this will turn into a good resource for the more interesting times of the year!! Feel free to add some!! Stormchasers - latest aust. chart and sat info, rainfall/storm discussion. CIMSS - Tropical Cyclone images, upper level analysis etc from around the world. http://www.atmosphere.mpg.de/enid/77d9810278d8243047762d9afac0ae3b,55a304092d09/192.html Consider it done RD. 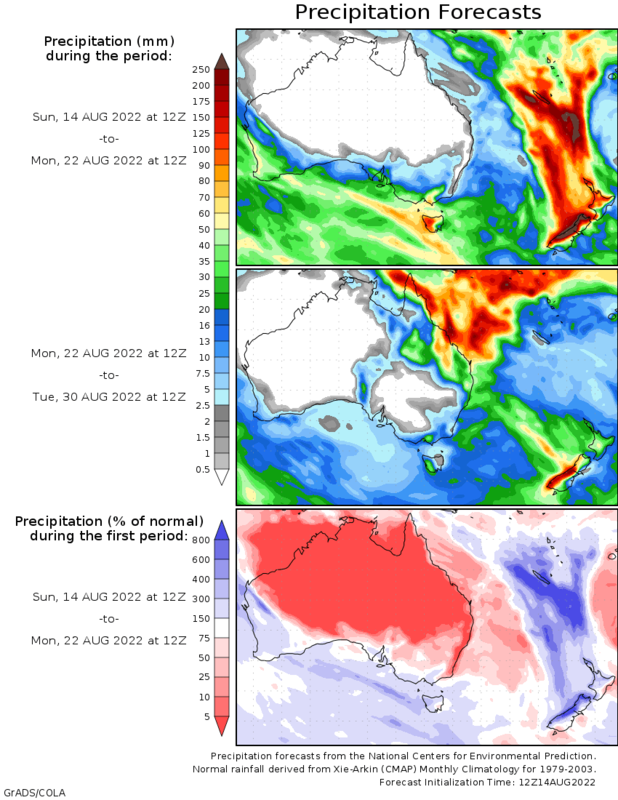 This is a good site to see the progression of SST's over northern Australia and a forecast of temps over several days. Here are some other links that I have come across. my fave sight is within the JTWC site. the Modis Rapid Response System is awesome! full colour down to 250 metres. it has most places on the planet. I like to use this for finding a LLCC in the formative stage of TC development. It has other uses too. These maps display the ocean surface winds at a 10m height from satellite passes as processed by NOAA/NESDIS, from near real-time data collected by NASA/JPL's SeaWinds Scatterometer aboard the QuikSCAT satelite. Jack up the speed control to get a really neat flowing animation! This is a great site to track the progression of the MJO using the Multivariate MJO Index. This includes phase diagrams, time-longitude plots etc. A lot of people probably already know about this site but for those who don't this is great. The pages might makes things a little easier when wondering how seasons compare generally over the years. I can extend the Australian region maps with BoM data back to 1906/07 but then the page will get a bit long and slow to load. Any suggestions as to how these pages should be set up / broken up to be more useful are certainly welcome. JTWC data goes back to 1945 so I'll be adding those seasons prior to 1980/81 as I get time. (Also added to my original post in this thread). A site that provides a few more options for the standard BOM radar images. I like the ability to "save" the image set. But something weird happened, and it stopped updating on 09 January. Can anyone recommend another site like this, that has so many high-res, close-up, regional shots of the tropical waters around Australia? I'd be deeply obliged. iCyclone | On the Web. | On YouTube. | On Facebook.